Our Apple watch charger can't match with stands that support the Apple original charger cable due to its bigger Magnetic Module. 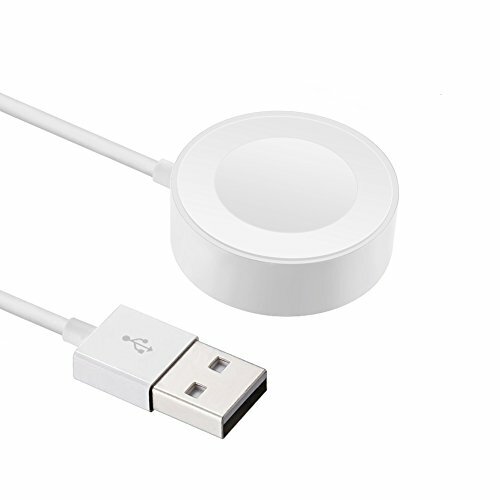 Apple MFi Certified Cable -- Built-in magnetic charging module,compatible with all Apple Watch models NO damage to your watch, NO error message popping up, compatible with ALL Apple watch models(38mm & 42mm ), supporting to the NEWEST Watch OS, NEVER EVER cause any troubles when charging. 18-Month Warranty--As a responsible brand seller, you will receive IQIYI's 18-month warranty and lifetime friendly customer service.